Today our expert guest is Hunter Doherty “Patch” Adams, who is best known for his work as a medical doctor and a clown – however, he is also a social activist who has devoted over 40 years of his life to changing America’s healthcare system. Patch believes that laughter, joy, and creativity are integral parts of the healing process and, with the help of friends, he founded The Gesundheit! Institute in 1971 in order to address problems with the country’s health care model. Patch’s life changed when he saw a “Whites Only” sign on a water fountain. It confounded him that society allowed it, and he struggled against society for his teen years because he couldn’t be silent. After being present for Martin Luther King, Jr. delivering the “I have a dream…” speech, Patch realized that he could make revolution. As a political act, he decided to never have another bad day. Instead, he lives six qualities: happy, loving, funny, cooperative, creative, and thoughtful. 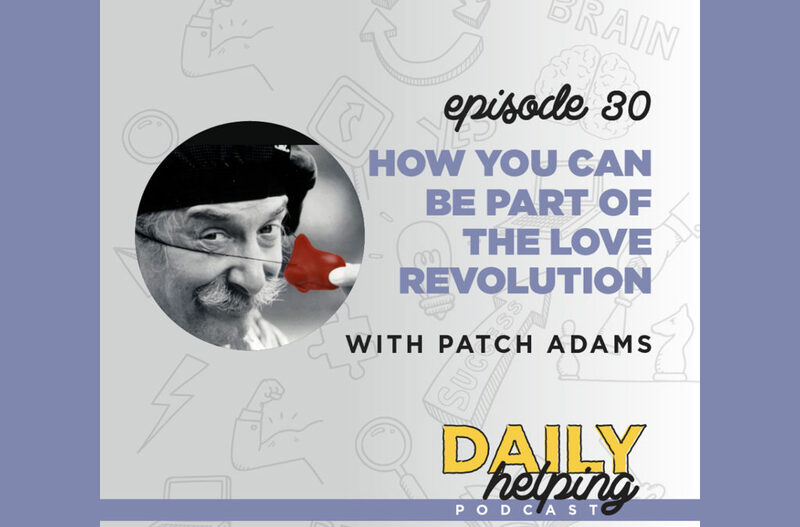 Patch’s revolution is built on a simple concept: When you care, it is an act of love – and, ideally, a healthy person loves all people. He did not, however, see any place for that compassion in American hospitals. When Patch signed contracts for the 1998 Robin Williams movie, he was told they’d build a hospital building in return – to this day, there is still no hospital. However, Patch is still striving towards this mission every day. You can support the hospital project by donating to The Gesundheit Institute or purchasing Patch’s book, Gesundheit!